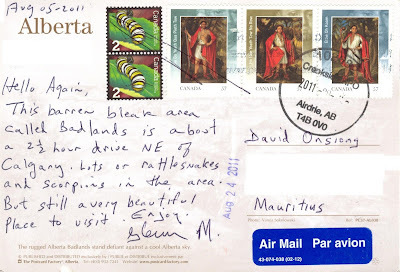 Another card from Glenn! 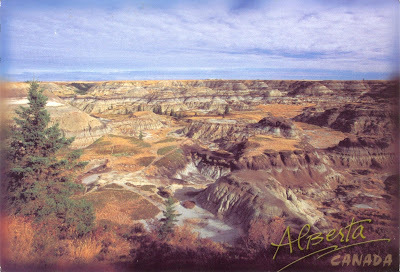 This time it shows the Alberta Badlands. Badlands are a type of dry and barren terrain where softer sedimentary rocks and clay-rich soils have been extensively eroded by wind and water. Canyons, ravines, gullies, hoodoos and other such geological forms are common in badlands. They are often difficult to navigate by foot and often have a spectacular colour display that alternates from dark black/blue coal stria to bright clays to red scoria. 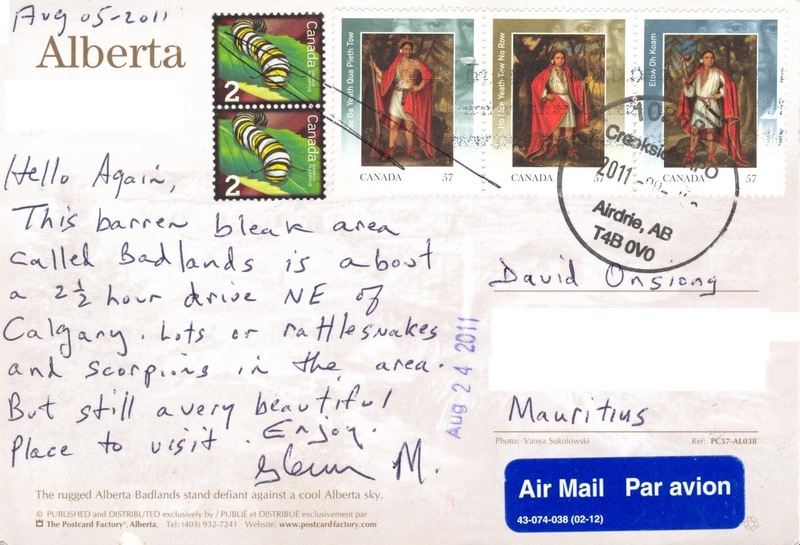 I'm told that the Alberta Badlands are 130km and 2½ hours drive northeast of Calgary.